Currently humanity doesn't have the technology to send astronauts to Mars. NASA (Space Launch System) and the SPACEX (Interplanetary Transport System) are working on technologies that could send to crews to Mars as early as 2025. To help us better understand how to conduct future manned missions on Mars; we need improve and refine our technologies and better under the psychological impact of a crew operating in a harsh environment. Organisations such as the Mars Society or NASA typically do these simulations. A series of diary entries (blogs) have been created relating to the latest simulation mission in 2016. You can read more about what the crew does in the simulation below. Annalea Beattie is an artist and writer based in Melbourne, Australia. Her art practice is based on space science. She was recently elected a director of the National Space Society of Australia (NSSA) and also serves as a director of Mars Society Australia (MSA). 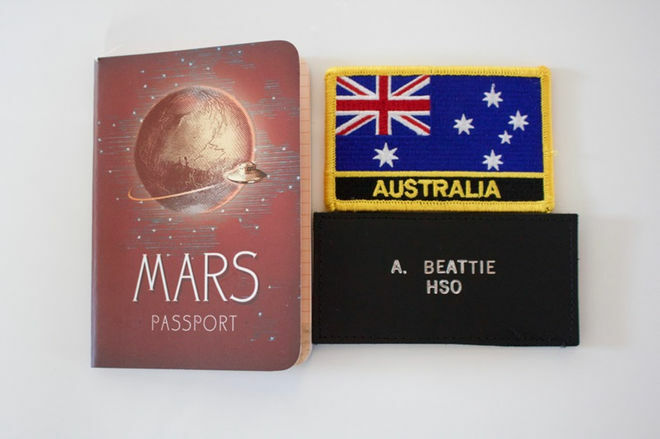 Annalea in late 2016 became a member of The Mars Society's Mars 160 Twin Desert-Arctic Analogue mission, where her art-based research explores how observation is key to the role of all field geologists, including those on a planetary exploration crew. Annalea Beattie discusses the "Dare Demo Dome" designed by her fellow Mars 160 crew member Yusuke Murakami. Annalea Beattie talks about life and work inside the habitat in the Utah Desert that she and her fellow Mars 160 crew members call home. Notes from Mars 160: The Science Work We're Doing Annalea Beattie talks about the science work she and her fellow Mars 160 crewmembers are performing in the Utah desert. A Mars 160 Crew Message: CapCom, We Hear You! Mars 160 crewmember Annalea Beattie details how the Mars Society simulation stays in touch with Mission Control from their home base in Utah. Mars 160 Crew Gets New Neighbors in the Utah Desert Annalea Beattie and her fellow Mars 160 crewmembers have some new neighbors in the Utah desert — researchers testing out technology for future Red Planet rovers. Notes from Mars 160: Making Field Sketches During an EVA Mars 160 crewmember Annalea Beattie describes what it's like to draw rock formations while wearing a spacesuit — and why it will be important for future Red Planet explorers to make such field sketches. How the Mars 160 Crew Stays Busy and Healthy Annalea Beattie describes what a typical day is like for her and her fellow Mars 160 crewmembers. Taking an EVA with the Mars 160 Crew Mars 160 crewmember Annalea Beattie describes an extravehicular activity (EVA) in the Utah desert. Notes from Mars 160: Going Outside for a Marswalk Here's what it takes to get outside the habitat for a science mission. 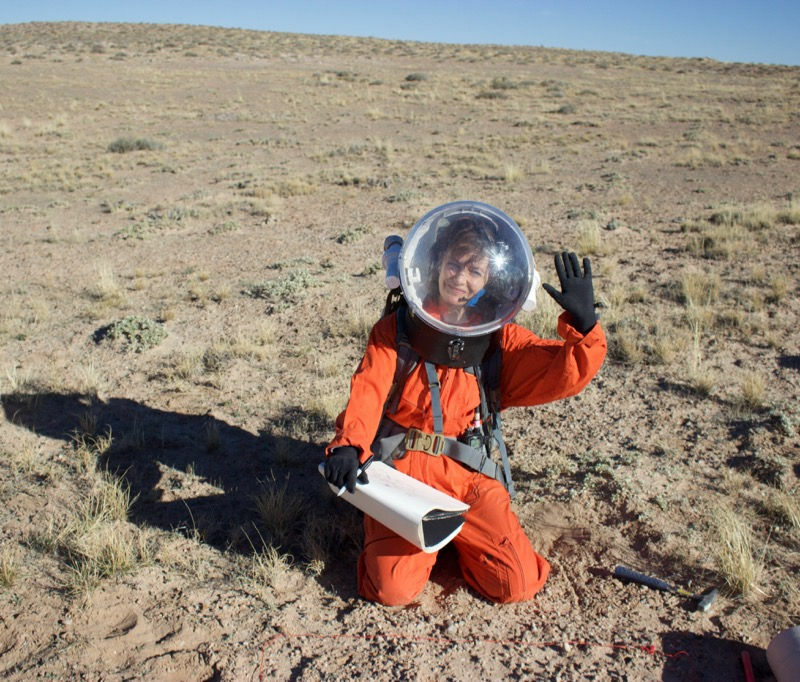 Notes from Mars 160: The Mars Society's Epic Simulation Mars 160 crewmember Annalea Beattie is chronicling life and science on The Mars Society's Twin Desert-Arctic Analog simulation. This is her first dispatch. 160-Day Mars Mission Simulation Kicks Off in Utah A 160-day-long simulated Red Planet mission began today (Sept. 24) at the Mars Desert Research Station (MDRS), a facility in the Utah desert operated by nonprofit group The Mars Society. 80-Day Mock Mars Mission Begins Saturday in Utah On Saturday (Sept. 24), the crewmembers of the Mars 160 mission — who hail from France, Japan, Russia, Australia, India and Canada — will begin work at the Mars Desert Research Station (MDRS), a facility in Utah run by the Mars Society.